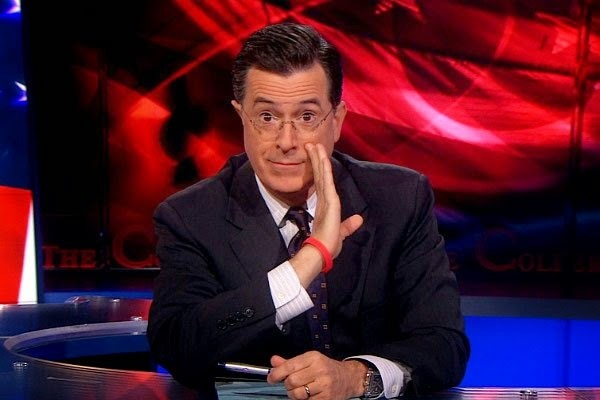 After 9 years on the air, there are sadly only 2 episodes left of The Colbert Report & Stephen is going out with a serious bang. 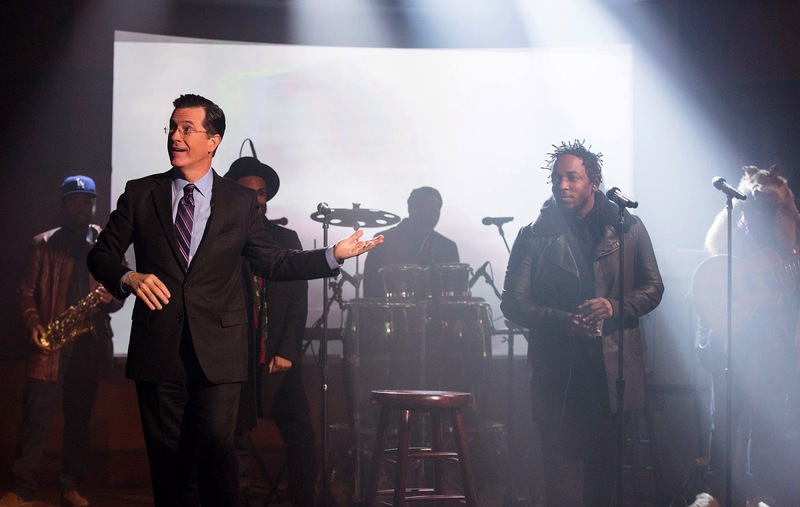 On last night's 3rd to last episode, Stephen briefly & hilariously interviewed Kendrick Lamar (The Colbert Report's last musical guest EVER!!) then Kendrick took the stage, along with his Flying Lotus buddy Thundercat & saxophonist Terrace Martin, in order to debut the 2nd new track off Kendrick's upcoming, sophomore studio album. 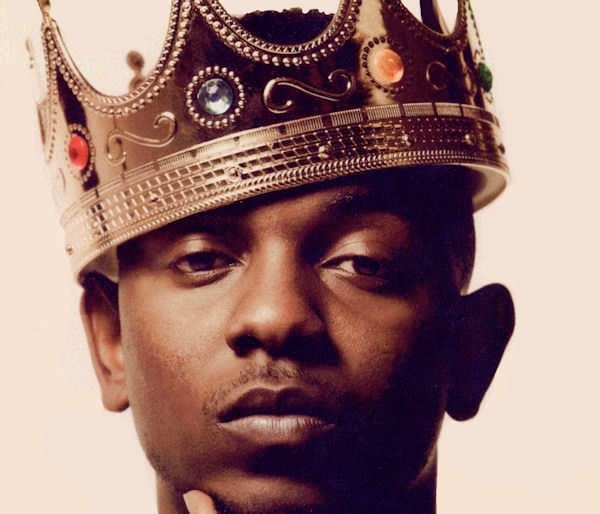 Both the track & album currently remain untitled (at least publicly) & Kendrick has not yet provided a release date but that's just making it all the more exciting! Kendrick's recent, memorable, black-eyed, AWESOME performance on Saturday Night Live combined with last night's KILLER performance on The Colbert Report are causing the anticipation to build exponentially.